Ais Mc: My Sister's Wedding Make-Up. 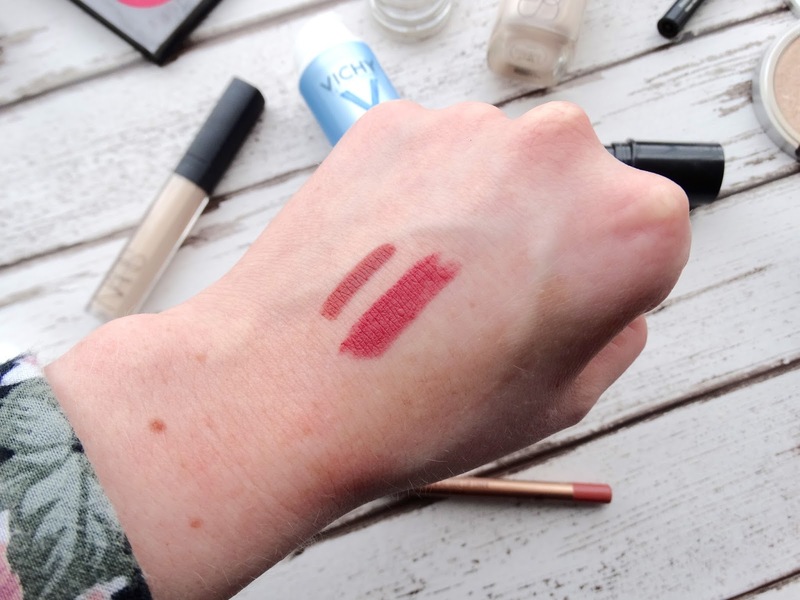 Our lip combo: Charlotte Tilbury Lip Cheat in Pillow Talk & Illamasqua Lipstick in Climax. I haven't made much of a secret about the fact that my big sister/best friend/agony aunt was getting married. 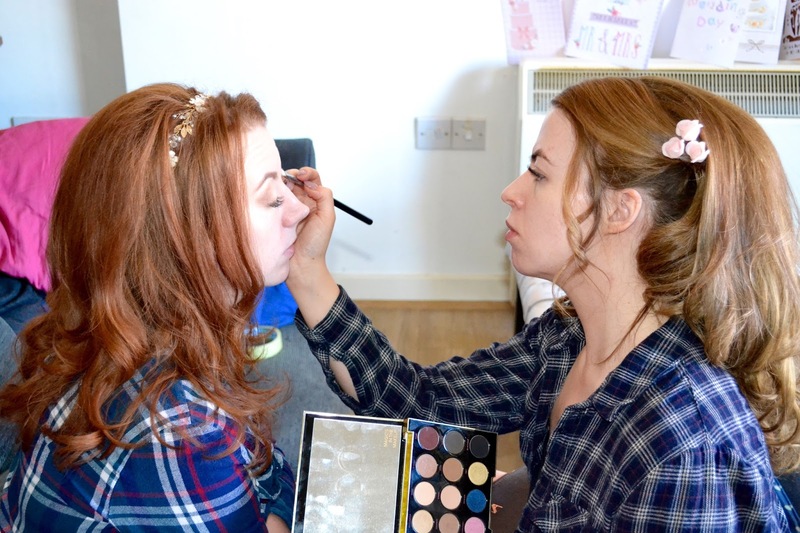 As well as being the only bridesmaid I took on the task of doing her wedding makeup! I was quite nervous but I've done her makeup for countless night's out and I know what she likes so it only made sense. 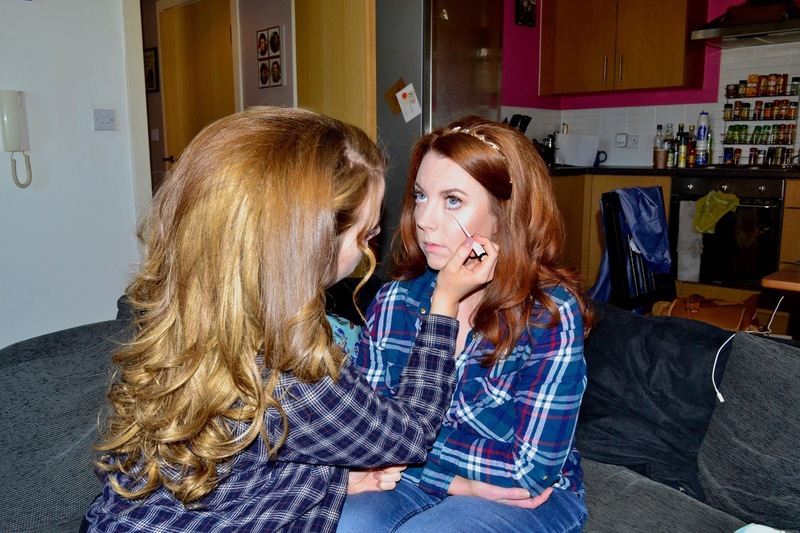 People doing their own wedding make-up seems to be on the up so I thought I'd share the product's I used, because our makeup did not budge all day. To me, the base is the most important part. 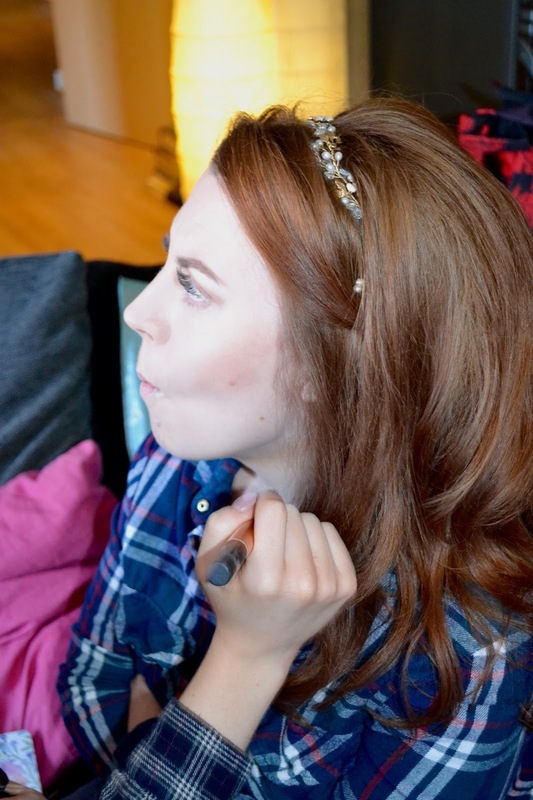 It needed to be flawless without looking cakey, and dewy without going shiny in a few hours. 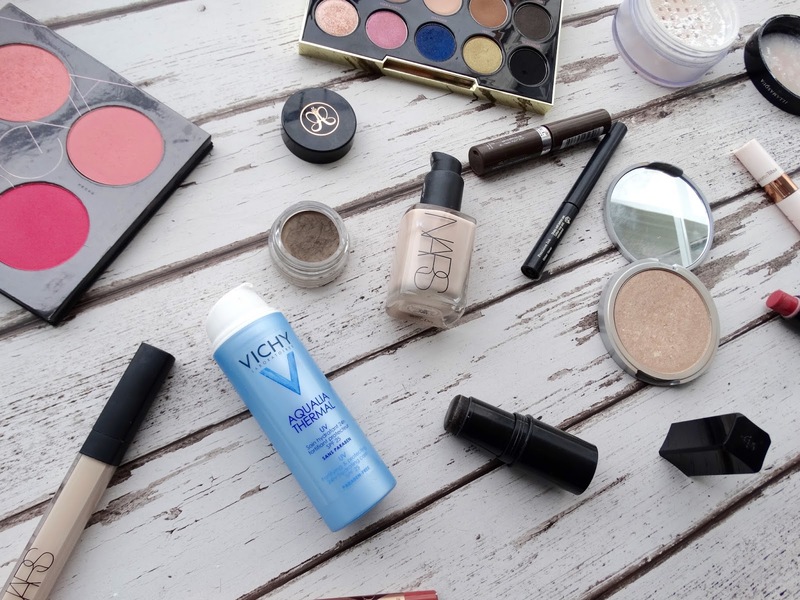 To moisturise I used the Vichy Aqua Thermal day cream, it's thoroughly hydrating and has an SPF of 25 - the sun was scorching that day! 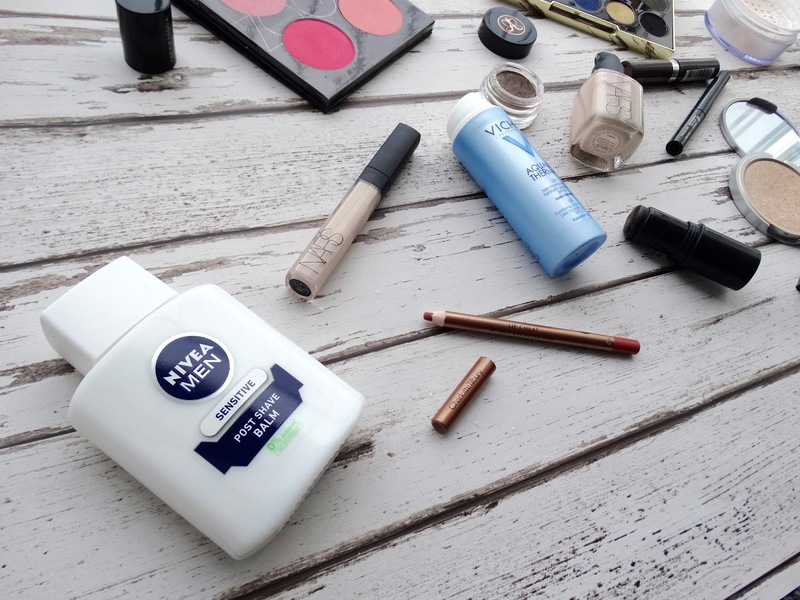 I followed this with my new god-send primer, the Nivea for Men Post Shave Balm in Sensitive. After using this, makeup does not move! When applied simply wait until it's a bit tacky on the face and then apply foundation. Foundation was a worry for me as in previous trial's I had been too heavy handed. To combat this I bought the Real Techniques Stippling Brush to buff in Carla's usual foundation - Illamasqua Skin Base in 07 (I used my NARS Sheer Glow in Mont Blanc). 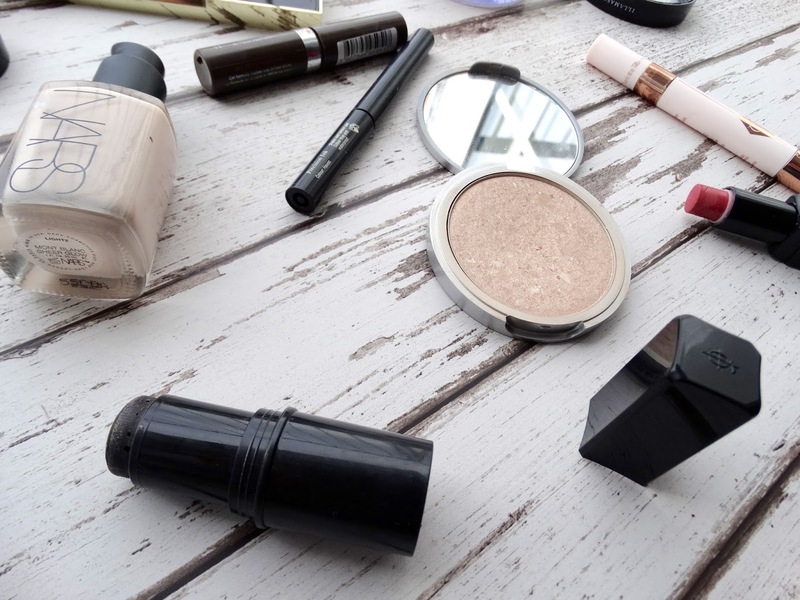 It perfectly buffed the foundation into the skin without picking up too much product. To conceal I used the Charlotte Tilbury Mini Miracle Eye Wand. It's double sided with one side offering an eye cream that I used to hydrate the under eye and ensure there wouldn't be any dryness, and then applied the concealer to brighten. I also used a little bit of the NARS Radiant Creamy Concealer in around the nose and into the forehead. I blended it all together using my Real Techniques Miracle Complexion Sponge. For contour and highlight I stuck with what I know, Illasmasqua Gel Sculpt in Silhouette and The Balm's Mary Lou Manizer. I used my Real Techniques Contour Brush and Zoeva Fan Luxe Brush respectively to apply, I do this every day and I know it works. I then placed a little blush from my Zoeva Pink Spectrum palette on the apples of the cheeks. I used shade PK030 for a pale pink pop. To set everything I then used my Illamasqua Setting Powder in 010. Again - we kept this quite simple. I used my failsafe Anastasia Dipbrow Pomade in Taupe and set them with the Rimmel Brow This Way Gel. 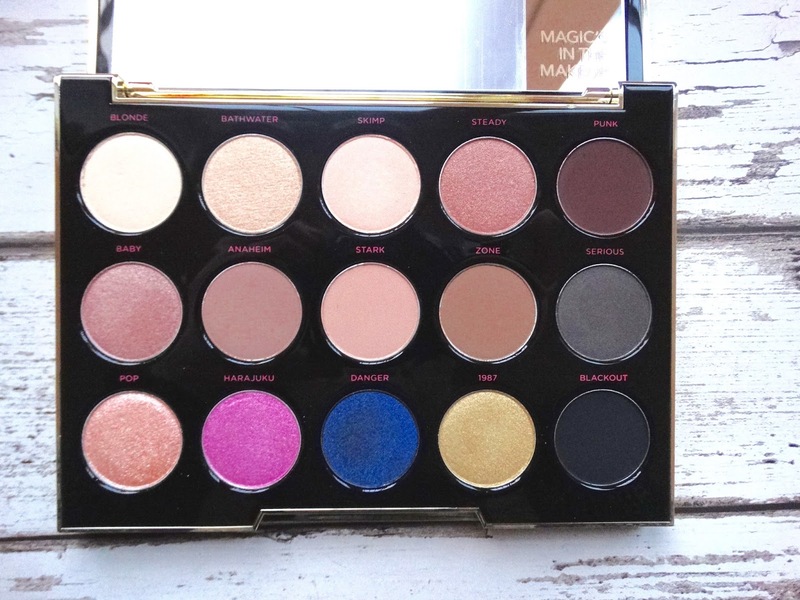 For the eyeshadow I stuck to the Urban Decay Gwen Stefani Palette, the perfect spectrum of shades for a natural glowing look. I used Blonde and Skimp all over the lid to give a subtle shimmer, and then the matte shade Stark as my transition colour on the outer corner. I then mixed Zone and Anaheim to give a subtle defined shadow in the crease. I used an Illamasqua Precision Ink Liner in Havoc - a perfect aubergine colour that didn't have the harshness on the lid that black can sometimes have. We'd previously had individual eyelash extensions put on so we didn't have to worry about mascara which was an absolute godsend in the madness of the morning. We couldn't decide for ages what lip colour to go for, our usual McGarrigle sister look is a deep purple or red but we knew this may not work for 12 hours of wear. So eventually I splurged on Charlotte Tilbury's infamous Lip Cheat in Pillow Talk, and paired it with Illamasqua's Climax lipstick, a dusty rose pink with a matte finish. It was perfect. Both of us had a full, plump pout that lasted all day, and didn't transfer anywhere all. I don't think I reapplied lipstick until about 7 o'clock! And I think that's everything covered! I apologise it was so long, but it took me a lot of trials to get to this combination and everyone commented on how nice it was so I was glad my research paid off! What I've learned with this is that you're honestly better to stick to what you know and what works for you. 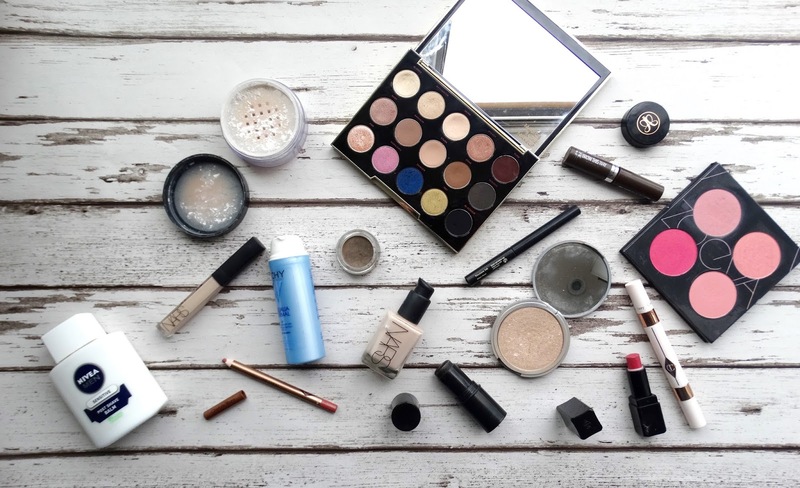 We didn't run to buy a whole new make-up range because unless you're super organised, you won't know how it will take to your skin or if it will break you out, how long lasting it is or if the colour is right. 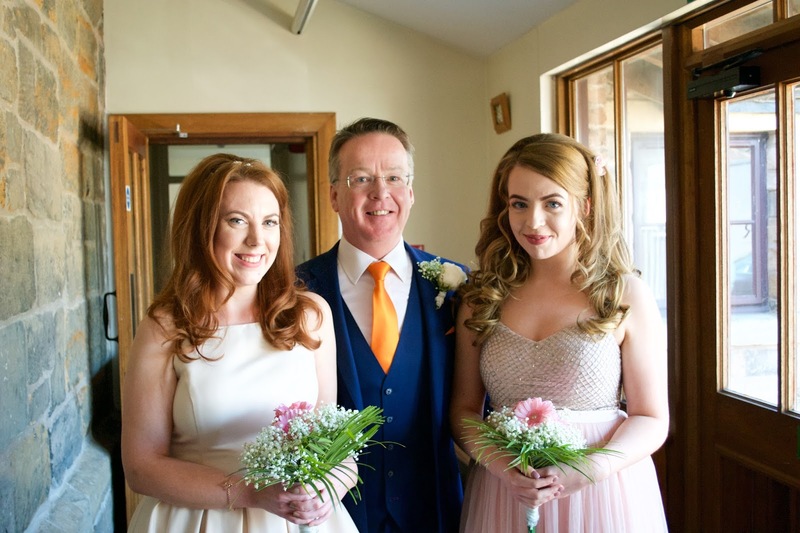 Also I don't have any good pictures of the make-up because there was literally no time, but here's us with out lovely Dad, two nervous wrecks before walking down the aisle! Hopefully this can help anyone who may have an upcoming wedding or rather long day out soon. You did a beautiful job!! I used CT pillow talk on my wedding day, it is fantastic. I'm going a friend's bridal makeup in a few weeks, which is always a little scary! 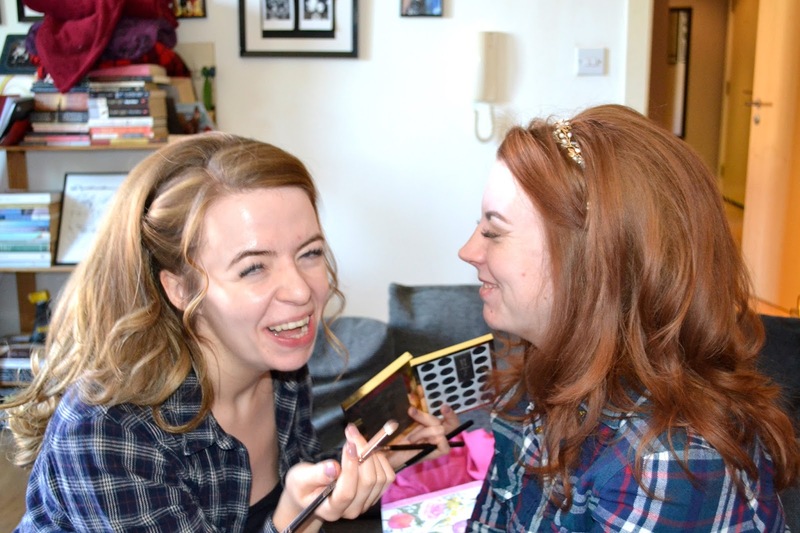 Making sure the makeup isn't too trend-led is my top tip. You don't want to look back in a few years and cringe! Beekeyper - Latest - Nuxe Rêve de Miel - in a stick! 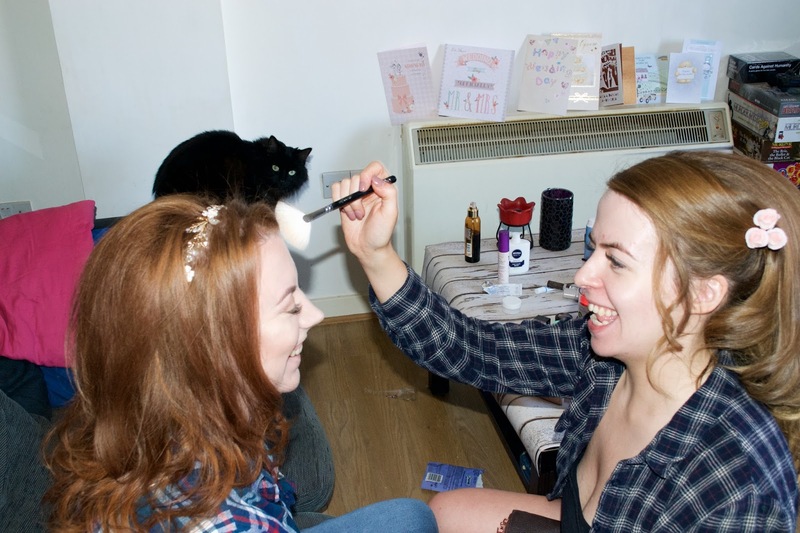 Aw it was so lovely to see all the pictures of you guys getting ready :) Nars Sheer Glow is so perfect - radiant but isn't going to go shiny or wear away during the long day. Hope it was a wonderful day! Thank you for sending me this :) I definitely need the inspiration, I'm doing the makeup for the bride, myself and 3 bridesmaids - scary stuff! !